Anthony Hordern & Sons' gigantic new Palace Emporium, built in 1905, was six stories high, with frontages on George, Goulburn and Pitt Streets. 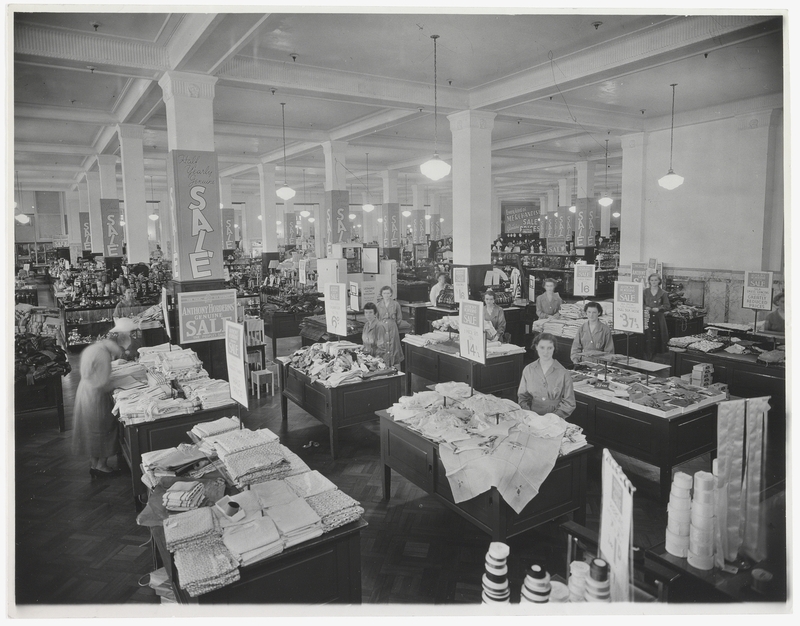 The Pitt Street wing was remodelled in 1932 and its bargain area, with distinctive blue coloured tables and 70 staff in blue uniforms, served over half a million customers a year. Known as universal providers, the emporium could supply 'everything from a needle to an anchor'.